Since time immemorial and the discovery of fire by our ancestors, burning fuels in homes has been a standard way of life. Using a fire to prepare meals, ward off attacking beasts, (this one was probably more common for our cavemen ancestors) and heating our homes, fire is unbelievably important and a necessity for a wide variety of needs. In recent years and the escalating price of electric and gas, the coal and smokeless fuel market has sparked into life (excuse the pun). These traditional fuels provide great heat output and are fantastically efficient. Anthracite, typically the base of most smokeless fuels, burns hour, after hour, after hour in the right conditions providing immense heat per kg used. Research by the Nottingham Energy Partnership suggests that on average electricity “at the standard rate” costs 16.02 pence per kWh. Smokeless fuel in comparison costs just 9.09 pence per kWh. Over the course of the year this would result in real savings that could be put towards your summer holiday, a new car, or many, many penny sweets. These savings have not gone unnoticed by consumers, modern multi-fuel are growing in popularity year on year. Easily installed and look great, multi-fuel stoves are highly efficient and can burn a wide variety of fuel types. There is a certain romance having a fire roaring away on a cold winters evening and their popularity looks set to continue in the years ahead. Due to the influx of customers burning solid fuel who are new to the market and have not done so previously, now more than ever it is essential to stress the importance of only purchasing fuel through an Approved Coal Merchant. All Approved Coal Merchants are required to support and follow the Coal Trade Code as part of the being in the ACMS. What is the ACMS you may ask? It stands for the Approved Coal Merchants Federation Scheme and is a consumer group outlining the standards any members must adhere to. The ACMS and the Coal Trade Code that have been set in place ensure that you the customer, can buy solid fuel in complete confidence. Non-approved merchants do not have to adhere to any strict code or standards and do not require any tests to ensure they have suitable knowledge of the various appliances and fuels available. Their advice and recommendations may be incorrect, resulting in long term damaged and potential large costs in order to fix you stove or fire. 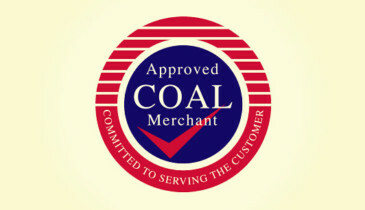 Always look for the approved coal merchant logo on any website or contact the ACMS themselves and ask if the merchant is a member. If you would like to order fuel from an approved coal merchant, simply click here to view a great selection of our products for a wide variety of appliances. If you have any questions regarding which fuel would be best for you, please do not hesitate to get in touch.